While having a few varieties of DIGIORNO® pizza on hand is one way to ensure a great party on game day, it’s not the only way to launch yourself into the competition for the most epic Super Bowl party ever thrown. Make a custom Super Bowl party soundtrack by splicing together the audio from your most favorite Super Bowl game broadcasts over the years. Show extra care by sticking to the party’s Super Bowl theme. Draw a football in ballpoint pen on each of your guests as they arrive. If you have a hidden talent, now is the time to show it off! 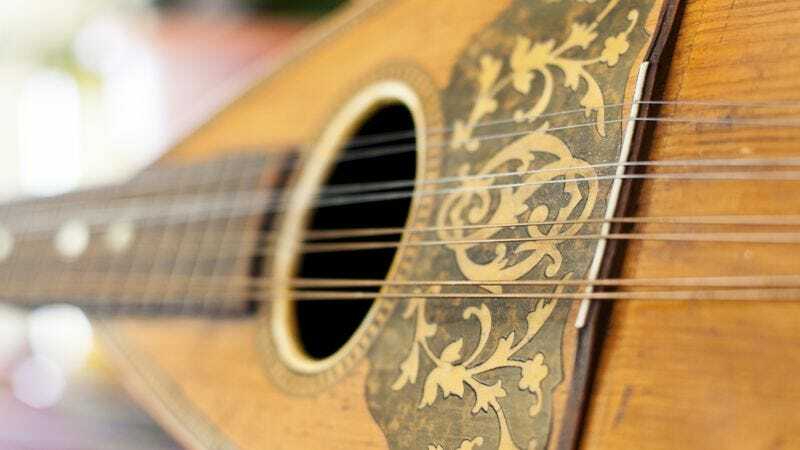 Can you play the lute? Can you whistle the entire soundtrack to Meet Me In St. Louis? Great! Now’s the perfect time to show your friends just how special you really are. Showing a text- and effects-heavy PowerPoint presentation on the history of the prolate spheroid that makes the Super Bowl possible will get your guests into a festive mood. Make sure to devote a slide to analyzing the pebble-grain texture that improves gripping ability! Be sure to give each guest a complimentary mirror, so if the game isn’t going their way, they can tune out and just look at their own face for a little while. This is the only reason they came. None of these people like you. Just give them the pizza. Then they’ll be on their way. Before you host your own earth-shattering Super Bowl party, prepare yourself by adding some DIGIORNO® pizza to really get it going strong. Learn how to PreGiorno here.